Look in any organization today and you will find a hard-working group of individuals tasked with the near impossible: navigating an increasingly complex IT environment while securely delivering virtually zero downtime. This is the IT Team. And Ipswitch helps them shine. Ipswitch IT Management software provides secure control over business transactions, applications and infrastructure. Our Unified Infrastructure and Applications Monitoring software provides end-to-end insight, is staggeringly flexible and simple to deploy. Our Information Security and Managed File Transfer solutions enable secure, automated and compliant business transactions and file transfers for millions of users. 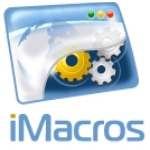 Whatever you do with a web browser, iMacros can automate it from web automation/web scripting, to data extraction, to web testing, and much, much more.